LED panels, a wireless access point for your Arduino, and more! Check out what we have for this week. Welcome back everyone! This week I get to play games on RGB LED panels and stream music wirelessly from an iPhone. I sorta love my job sometimes. We've got some cool stuff this week, so check it out. The RGB LED panels are pretty cool and can be VERY bright with all the lights on. There are a lot of fun uses for them and hopefully the hookup guide gives you a better idea of how they work. These RGB LED panels come in two different sizes, one with 32x16 LEDs, and the other with 32x32. 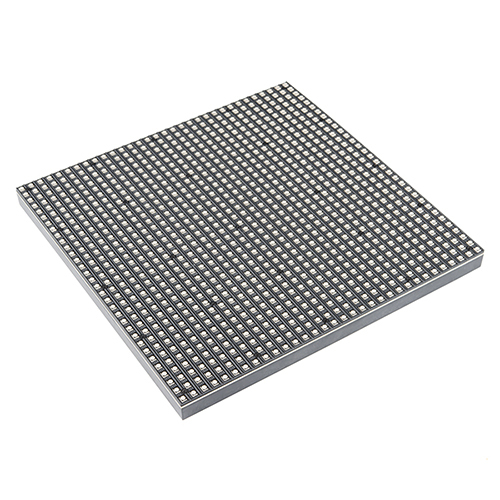 Each LED can act as a 'pixel' and can be individually controlled. If you have enough processing speed, you can also daisy-chain several together to make larger displays. They come with ribbon cables for communication, and a 4-pin cable assembly for power. They have nice plastic frames which make mounting them flush easy. Check out the tutorial for instructions on how to hook them up and some example code. The CUhead Pro is a WiFi/Ethernet Arduino shield with Airplay and DLNA audio and also acts as an access point for WiFi devices. 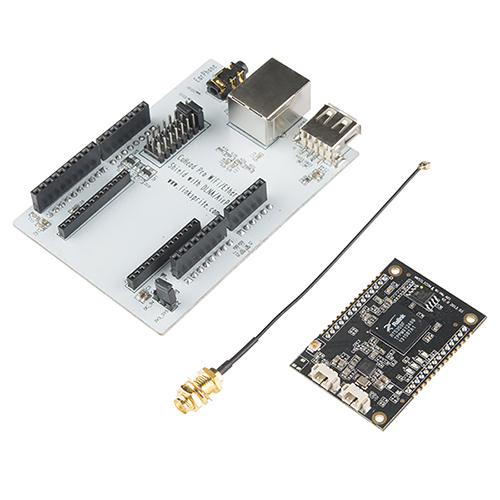 You can also use it for TCP to UART communication for your Arduino. 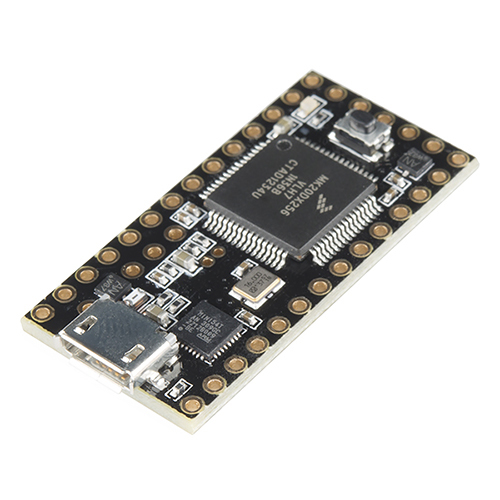 We now have the new Teensy 3.1. The new version has more RAM, more flash, and is 5V tolerant on the digital inputs. The Teensy has a lot of power and features in a small package. It has a 32-bit ARM Cortex microprocessor, 34 digital I/Os, seven timers, touch sensor inputs, and more. 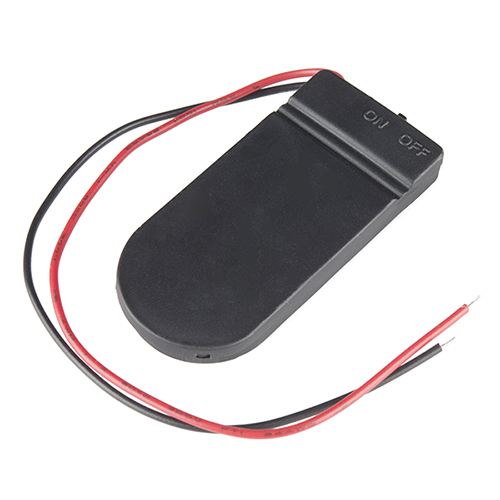 This convenient coin cell battery holder can house 2 CR2032 batteries (not included) for 6V output. It also has an on/off switch and 6" wire leads. It's an easy way to get 6V to your project, if you don't need a whole lot of capacity. And last, but not least, we have a new version of the EasyVR Shield. 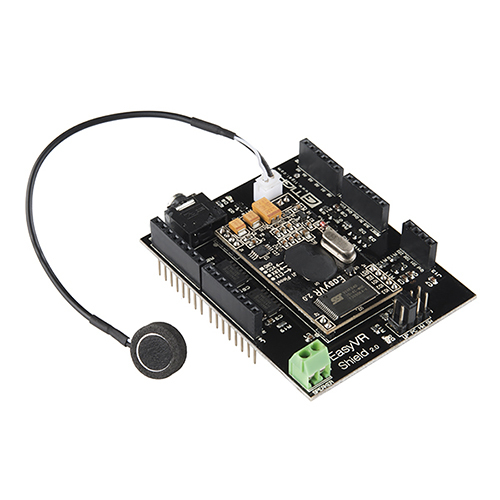 The EasyVR 2.0 is a multi-purpose speech recognition module designed to add versatile, robust and cost effective speech and voice recognition capabilities to virtually any application. EasyVR is the third generation version of the successful VRbot module and builds on the features and functionality of its predecessor. That's all folks! Thanks for reading, thanks for watching, and we'll see you again next week with more new products! See you then. I'd love to see the hardware and sketch you used to make your etch a sketch. That's not what I'm looking for. In the video Robert had a breadboard with a series of knobs on it. He made and etch a sketch where the knobs would control where the pixels light up, just like an etch a sketch. I've looked though most of the tutorial pages, and do not see either a sketch or hookup guide for such a thing. Wow, I could make my own jumbotron!!! But.. what is on the vinyl? Hey Robert, You say at the end 32x64 and 64x64, wouldn't that be nice? argh! I knew we missed one. We had to re-dub the other section, but we missed that one. Wishful thinking I guess.